A dozen ice trays adorned black tablecloths, aligned on tables against the windows of a modest downstairs meeting room in Broomfield’s Omni Interlocken Resort on Saturday, April 1, 2017. 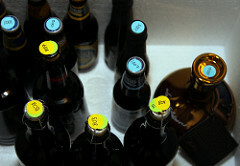 Each tray brimmed with twenty to thirty beers, mostly in bottles, roughly organized into style groups or according to SRM color, getting darker and fuller in a counterclockwise fashion around the room. Some wore commercially-approved labels, other beers bore varying forms of tape (Scotch, duct) with Sharpie writing to identify the contents. The beers hailed from across the United States, Belgium, England, and Australia. 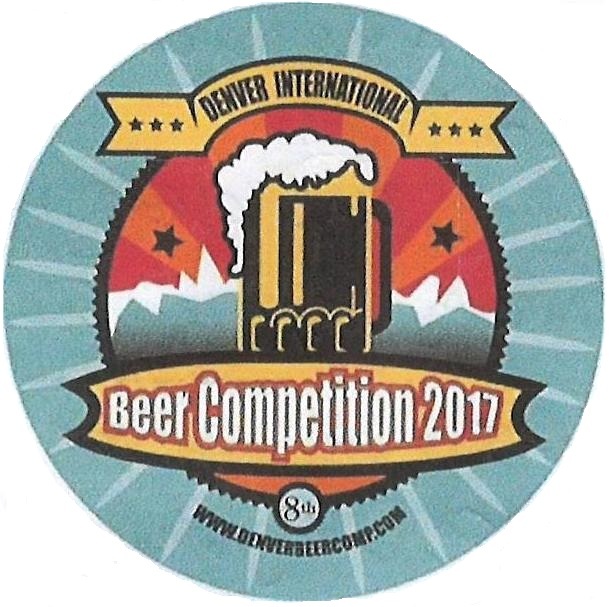 This was the canvas from which 100 lucky patrons were offered the chance to select the 2017 Denver International Beer Competition’s People’s Choice award winners. This public component of the Denver International Beer Competition, organized by Wine County Network (http://www.winecountrynetwork.com/), allowed an elite pool of beer fans to pit their skills and palates beside the panel of BJCP (Beer Judge Certification Program) judges who were mid-way through the weekend’s formal commercial tasting and ranking exercises elsewhere in the hotel. Much like the BJCP-certified judging, Davies did not provide the People’s Choice “judges” with brewers tasting notes, recipe, or ingredient lists. Rather, they were left to their most basic and familiar expertise: their own experiences with and preferences for craft beer styles, aromas, and textures. The goal for the three-hour tasting event was to identify three best-of-show beers from a broad range of styles and categories, including lambic, barley wine, cream ale, IPA, pale ale, stouts (in four subcategories), and wild-fermented sours. As the citizen attendees gathered, several BJCP judges from the commercial judging also mingled about to offer technical insights. Most ticket-holders stuck to their own intuition though, which is not to say the conversations were not lively. As with the divergent ages of attendees– ranging from 25 to 67– the palate preferences and observed character nuances of the beers they discussed spanned the spectrum. The puckering of some faces, after sipping a wild-fermented Paw Paw sour ale (Upland Brewing), became beaming, eyes-rolling-backward faces after sampling a velvety high-gravity Belgian Strong Golden ale. Some also discussed their preferences for the lighter bodied brews with their earthy, grainy aromas and lager yeast esters, like the Libertas cream ale and Wormtown Punxsutawney Pils and Helles. Coopers, Best Extra Stout out of Australia, a dry stout with nutty characters and a dusty feeling like the outback.